Pickled Eggplant - Fiona Morgan. An example of square brush in my work. 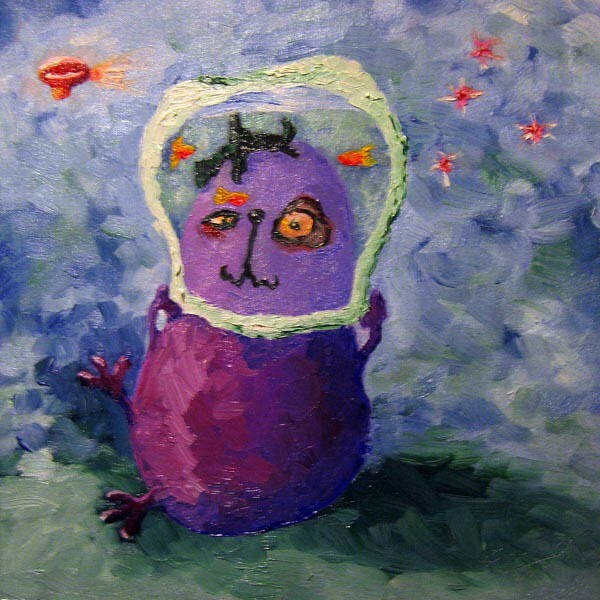 There was once only one way for a painting to be. The surface had to be smooth, the brushstrokes invisible. Anything less was considered scandalously unfinished. This is talking about the history of European painting of course. Over time, this idea has loosened. Broad brushstrokes, suggestions of detail, obvious brushmarks are now obliviously normal. Detail of Bastien Lepage's Sarah Bernhardt showing the loose brushwork that has influenced so many modern painters today. The impressionists really smashed the idea of hiding every brushstroke, but the idea had been gaining ground for quite some time. The artists Velaquez, Bastien Lepage and even as far back as Rembrandt had been toying with letting the painterlyness of paint do the talking. Angela Morgan (no, not a relative!) 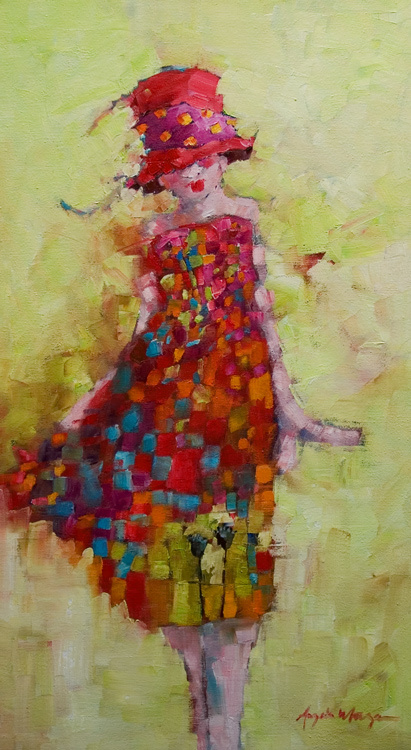 makes a real feature of square brush technique in her work. 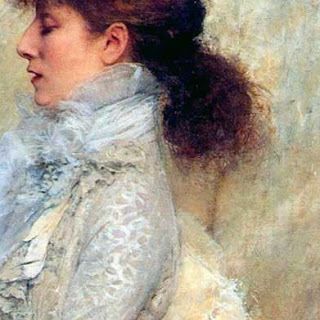 Square brush or square touch technique is a version of the broken brushstroke technique the Impressionists were famous for, and it is common today. 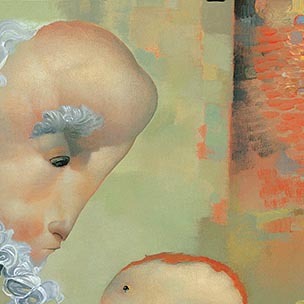 Detail of a Joe Sorren painting showing off the square brush backgrounds I love in his work. Usually using brights, flats or filberts, the flat of the paintbrush is used to lay down squarish strokes of paint directly, unblended, in a jigsaw pattern. 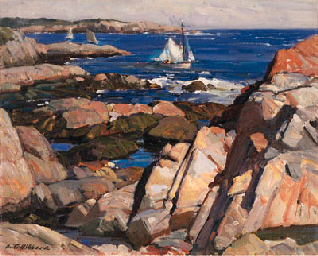 Aldro T Hibbard, and many of the Rockport school of painting are characterised by a square brush technique. It gives a chunky feeling which is great for modelling structure. Different planes of an object can be deliniated easily with different temperature strokes and different values. Arthur Streeton showcasing the atmospheric quality of square brush. It easily gives soft edges useful for atmosphere and light. 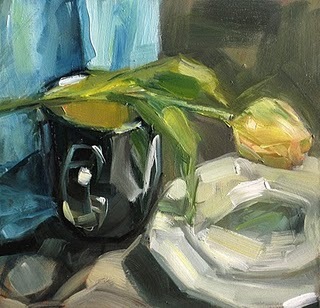 Daily painter Layne Cook with a dramatic square touch example showing the removal of detail. The size of the squares eliminates distracting detail and therefore has a unifying effect on the painting as a whole. Anything smaller than one square stroke has to be really important to be included. This eliminates visual clutter, focussing the viewer on the most important aspects of the painting. 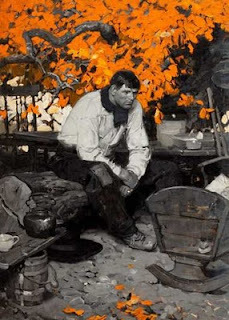 Dean Cornwell with an excellent example of fooling the eye into seeing more detail than is actually there. Look at the greys - the timbers and the ground. It gives a pixellating vibrancy to the surface of the painting. 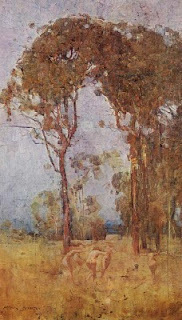 Each stroke can be a slightly different colour and angle which makes the painting appear to sing with more colour and detail than is actually there. The eye detects colour changes and hints of detail. Square touch is a way of fooling the brain into adding what it thinks should be there. Thank you impressionistic heritage. 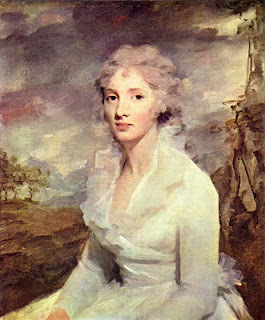 Sir Henry Raeburn, Scottish portrait painter, managed to subtley use square touch throughout his career of figurative painting, despite being ahead of his time and the difficulty of this technique in portraiture. It's much more suited to still life and landscape. A most excellent wrap up of square brush technique is over on Stapletearn Kearn's blog. Muchly recommended. There are loads of artists who make great use of this painterly technique. Know of an artist whose work is loaded with square brush? Tell us! Leave a comment.